Find insurance for your car, van or lorry servicing business. We find cheap cover fast. MoneyMaxim work alongside a panel of experienced and expert vehicle servicing insurance brokers waiting to find you the cheapest deal on your car, van or specialist vehicle servicing business insurance policy..
Just as vehicle service businesses come in all sorts or shapes and sizes, so do vehicle servicing insurance policies. By getting Vehicle Servicing Insurance quotes from a few brokers, users can not only identify features of policies that would suit their business, but also find a range of competitive quotations which ensure you pay a great possible price. 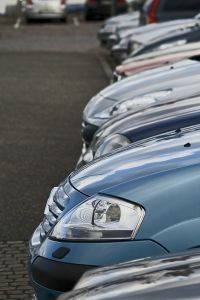 When you consider the vast range of different types of firms who offer vehicle servicing - from garages, to mobile vans to those who work from home - it's easy to understand the need to get the right policy. Going to just one vehicle servicing insurance broker will restrict your bartering power, so start saving money by completing the online request form now, or calling our team on 0800 520 0699 (or 01183 218197 from a mobile). Whatever aspect of the motor trade industry you are involved in you need to ensure you are properly insured. Without insurance you are taking a massive risk and the financial costs of repairing the damage caused whilst a car or other vehicle is in your care can be massive. What's more, with the growth of no win no fee solicitors, it's easy to find a minor situation becoming a major headache. Avoid the hassle and headaches and let MoneyMaxim find the right policy to protect your business at the right cost. There is a massive range of policies to suit pretty much every business type. Whether you have been running a full dealership for years, or are just starting up your own car valeting business, we can find affordable insurance for your motor trade company. This is an important element of the service our partners and ourselves run - as you can see from the questions asked - we are looking to put you in touch with brokers who specialise in the sort of business you are running. You will be able to talk to experts who will understand the risks you face and can tailor policies to your needs. They will also help ensure you are not buying cover you don't need and can remove elements that you don't require. This can have a positive benefit on your premiums. This very much depends on the needs of your motor trade business. Our brokers can issue tailor made policies meaning you will build the policy hand in hand with the broker. Whilst there are obviously core features every policy will include, much of your policy will be tailor made. So whether you are full time or part time, have premises or work from home, are a new business or have been established years, our partners can assist you is finding your ideal cover.